Dr. D. Scott Crouch is a general and minimally invasive surgeon with Lincoln Surgical Associates. 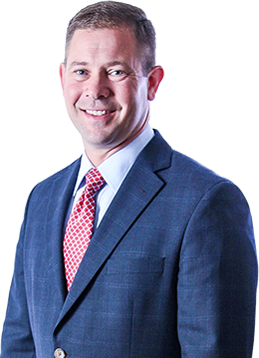 Dr. Crouch was born in St. Louis and joined Lincoln Surgical Associates after he completed his surgical training at Southern Illinois University School of Medicine in Springfield, Illinois. He is on staff at both Memorial Hospital and St. Elizabeth’s Hospital and has held many leadership positions during his 13 years in private practice. Currently, he is a partner of Lincoln Surgical Associates, Vice President of the medical staff at St. Elizabeth’s Hospital, and has served on multiple committees at both hospitals. Throughout his training and in private practice, Dr. Crouch has helped to educate young physicians by maintaining a clinical faculty position with Saint Louis University School of Medicine. He is board certified and is a Fellow of the American College of Surgeons. Dr. Crouch is a member of the Alpha Omega Alpha medical honor society and has earned multiple academic and surgical awards. He is a husband and father to five children and has many hobbies including coaching, gaming, and sports. Learn more or schedule a consultation with Dr. Crouch today!